I was at SAP’s Sapphire conference earlier this summer, and it was a great glimpse into the early strides one of the most boring software companies in the world (in a good way, just like boring airplane rides are the best kind) has made toward modernizing its approach to software development, design, and its customers. Here, I’m going to describe why I think SAP is worth a fresh look — it’s not just for old suits anymore — through a series of examples of a diverse set of areas where it’s innovating. Although I’m convinced PaaS is the future of development (see the last slide), the lack of traction vs IaaS as far back as Google App Engine makes it continually unclear exactly when that future will arrive for most of us. It’s certainly not next year, but will it be 5 years, 10 years? Simply shipping software it uses for internal productivity. 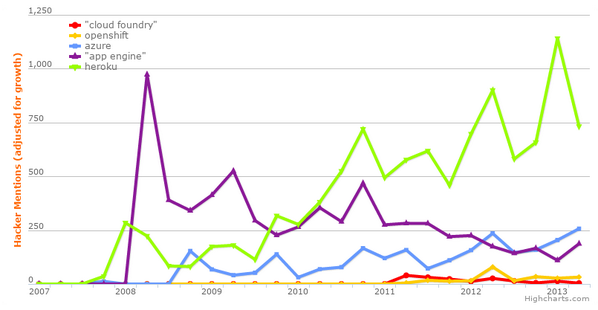 PaaS traction in Hacker News, adjusted for changes in posting frequency over time. SAP is offering its PaaS as a service with a free developer license, so it’s clearly doing what it can to start generating traction as soon as possible. Not to mention that it put Aiaz Kazi on the case, one of the sharpest people I’ve met at the company. Given its long-term expertise in nailing vertical markets, SAP has a rare opportunity to create stories around things like a PaaS for finance, a PaaS for retail, etc. James wrote last fall about SAP’s focus on design including new Mobility Design Centers. At Sapphire, SAP took the next step and started shipping its own, well-designed mobile apps to help people accomplish the most highly used tasks in its core software. While SAP clearly isn’t the first enterprise software company to start shipping beautiful, easy-to-use software, it’s also far from the last. SAP created a program to help incubate startups using its technology, namely the HANA database, last year. It’s grown like gangbusters. At just a year old now, in that time it’s grown from 10 showcased at last year’s Sapphire Orlando in May to 150 by November, and 430 as of this summer’s Sapphire Orlando. Oddly they don’t actually track the numbers any more closely than that, because it would’ve been great to look at a graph with more data points, but c’est la vie. Regardless, the ~200% growth from 150 to 430 startups in the span of half a year is awfully impressive. One of the things SAP was pushing at Sapphire was its initiatives on the Internet of Things, in particular around HANA (its realtime, in-memory database) as a core piece of a realtime M2M toolchain. I heard from Pirelli Tyre, an Italian tire company that has a large footprint on trucking fleets. 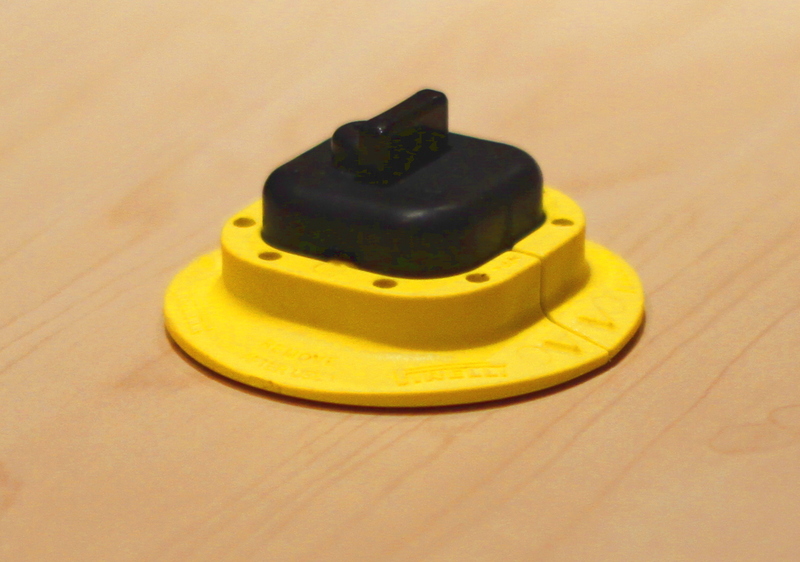 They’ve put together a hardware+software prototype based on HANA to send all kinds of data back from a fleet about things like air pressure, GPS location, and more to aid in improving efficiency and regulatory compliance. Dealing with M2M data is going to become increasingly important in the age of data, and this is just another example that at least parts of SAP see where the future is going. Did you know SAP is one of the top code contributors to Eclipse? I didn’t think so. The HANA Cloud Platform is built on open-source software as well. SAP’s Matthias Steiner wrote about SAP’s recent internal open-source summit, which is aimed at helping the company shift toward a more OSS-friendly mentality. They’ve even got a GitHub site now. I was shocked recently when I came across a slide deck that made the rounds on Twitter. It’s from a presentation of SAP’s Darren Hague at JFokus, and it’s titled “Continuous Delivery: From dinosaur to spaceship in 2 years.” If they can help their customers through that same journey for the code they ship, it would be a huge deal because today SAP implementations and upgrades are so complex that they typically require teams of consultants (at significant expense). Really, is everything this warm and fuzzy? In contrast to the negative point about inertia, its size and existing, basically locked-in revenue stream gives SAP some significant advantages as well. For example, it has the time and financial safety net to wait for the PaaS market to ripen, as it contributes its own efforts to the problem. However, if SAP encounters issues with its ERP revenue, it could decide to decelerate the transformation I’m seeing. In reality, it should do exactly the opposite — if legacy software businesses are going downhill, it’s time to invest even more deeply in their replacements, where the new opportunities exist. The sheer number and variety of interesting things happening makes it obvious that SAP’s a company to watch. It’s clear that SAP is looking toward its future opportunities rather than its existing stable businesses, and that’s where its biggest challenges and rewards may lie. Some enterprise companies are changing with the times, and some aren’t. If I look at companies like IBM and Microsoft, I see a lot of changes to think about what’s happening in the IT industry, like being more interoperable, friendly to open source, thinking about the effects of BYOD, consumerization of IT, and migration toward the cloud, and so on. On the other hand, if you look at Oracle, there’s not much of that happening, and things seem pretty well stuck in legacy mode — the recent “partnership” with Salesforce seems just more evidence of business as usual. And it’s a business that’s going to continue shrinking, based on revenue models, relying on purely top-down approaches, and failing to adjust to the ways that practitioners want to consume technology. 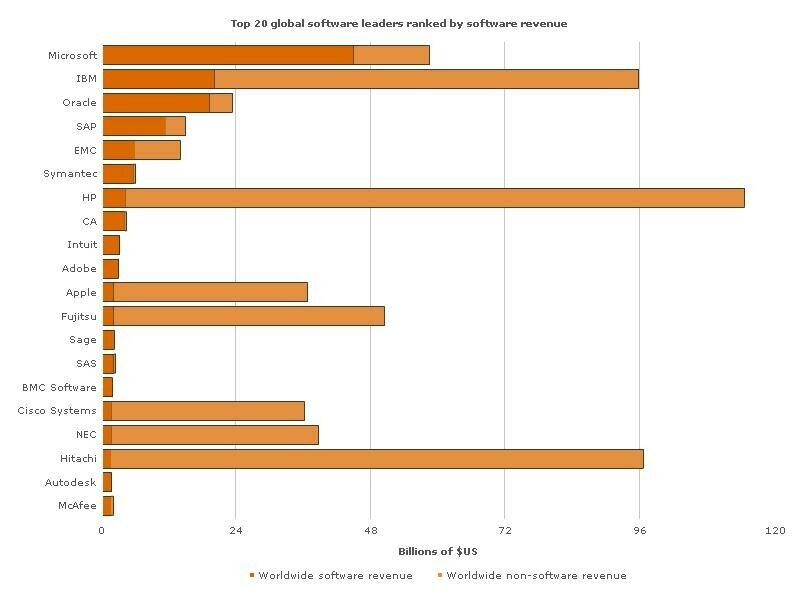 As for the final company on the PriceWaterhouseCoopers top 5 by software revenue, EMC, it seems that while the parent company is relying on similar methods as Oracle, significant parts of Pivotal have seen the light, while VMware is somewhere in the middle, searching for the answers. Disclosure: SAP is a client and covered T&E for Sapphire. IBM, Microsoft, Salesforce.com, and VMware are also clients, while Oracle, EMC, Pivotal, and Pirelli Tyre are not. Categories: apps, cloud, devops, internet-of-things, mobile, nosql, open-source, packaging, sap.